Whatever we do in Life, let us not forget to enjoy it. Life is a Gift and will soon end. 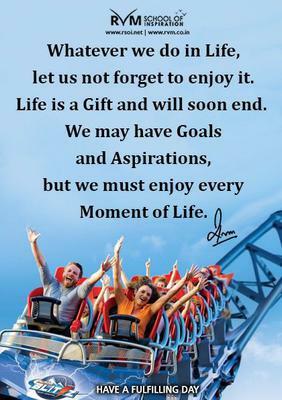 We may have Goals and Aspirations, but we must enjoy every Moment of Life.